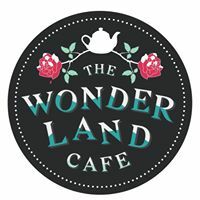 After initially opening as a pop up for December, such was the success, with over 3000 diners wanting to book on the opening day, the good news was announced yesterday (4 January ) that the Wonderland Cafe on Station Street had signed a lease and would be staying open for the foreseeable future. Tucked away behind Hopkinsons on Station Street, it was the idea of owner Ash Hudson to create a magical eatery, intentionally hard to find. 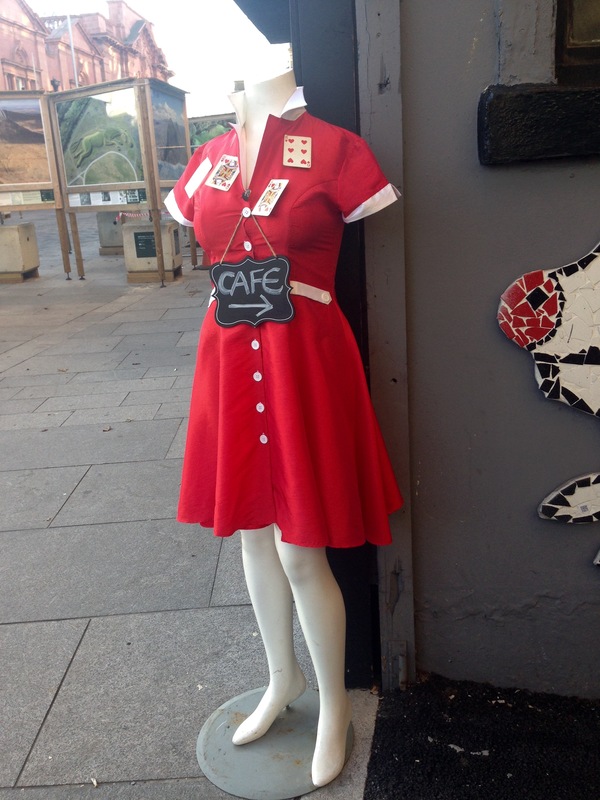 However an Aunt Sally adorned with playing cards now directs you to this unique cafe. Fall down the rabbit hole and lose yourself in Wonderland woodland, or rather choose to enter through a normal sized door or a tiny door into a walkway of floating chairs, grass carpet and trees at this themed cafe. 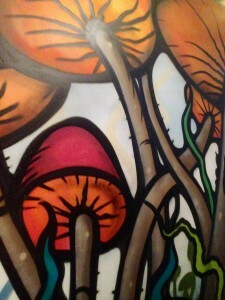 Paintings of toadstools and weird and wonderful plants decorate the walls, all the handy work of a Nottingham Graffiti artist. Once seated, tuck into ‘Eat Me’ treats such as Toad Down the Hole; mini Yorkshire puddings with mash, gravy and a mini sausage. Mad Sandwiches, Scone of Hearts, chocolate brownie plus cupcake surprise created by Demi Salt of Bijou Beauty Bakes, all served on vintage china by staff dressed as characters from the well known story. We opt for the full experience of the Mad Tea Party and we weren’t disappointed. 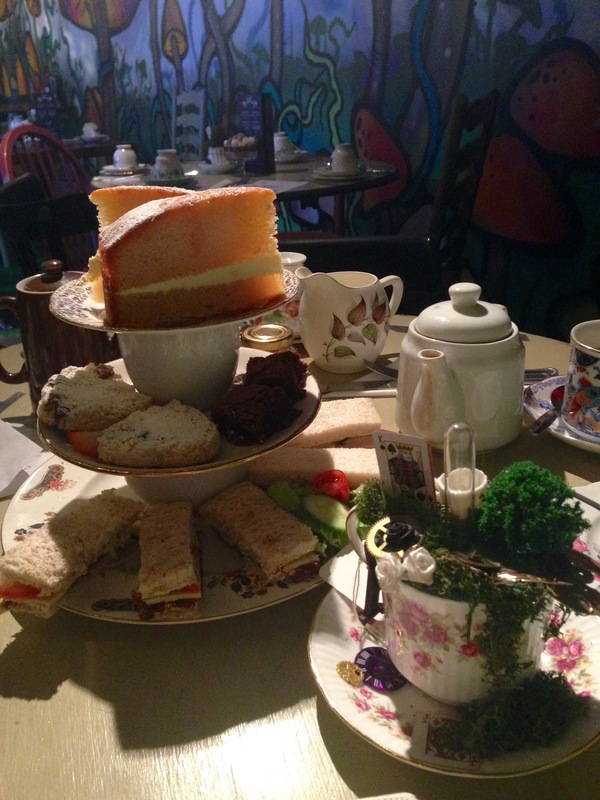 Delicious afternoon tea for two with tea or coffee at £12 is great value. Ash says he didn’t want the venture to be somewhere people have to save up to go, he wanted to make the experience accessible to everybody. The coffee is from the same suppliers as the World famous Betty’s Tearooms. Everything really has been considered, right down to the last detail. The concept was created by Ash, who when we meet is dressed in full mad hatter costume. He had the idea whilst on holiday, having worked for a corporate company and later running an Alice in Wonderland themed watch shop in the centre, he decided it was time (geddit) to let his creative streak run wild. Since opening they have developed the menu, and are now open seven days a week. 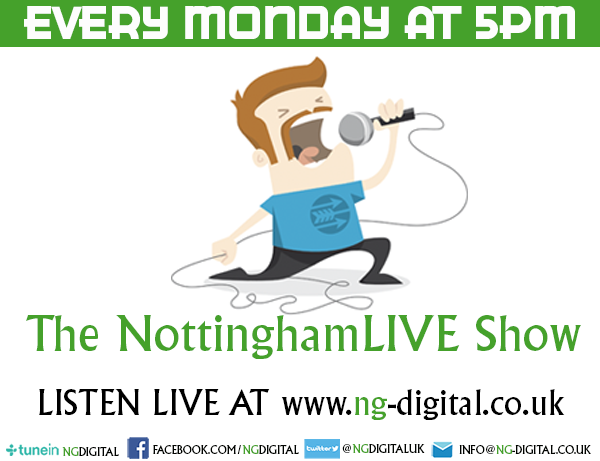 Having just held their first children’s birthday party, Ash has big ideas for the future, ideally a restaurant on the same theme and why not, for this Beeston man, his fairy tale is already coming true.